What Is the Fair Price for a Bond If the Yield to Maturity Is Eight Percent? What Is an Issue, Spread or Par on a Bond? To calculate the price of a bond you need three things: the coupon, the maturity date and the yield-to-maturity. Using these three facts you can solve for the dollar price. If you have the dollar price, you can solve for the yield-to-maturity. Bond price calculations are complex and best done using a bond calculator. These can be found online. Finding the yield-to-maturity for your coupon and maturity is the first step in checking to see if your bond is fairly priced. All bonds trade on a spread to similar-maturity U.S. Treasury bonds because Treasuries are considered the safest bonds. The U.S. Treasury can print money to pay its bond interest and principal, but corporations and municipalities must borrow money if they don't have enough to meet these payments. That is why the market may demand approximately 90 basis points more yield-to-maturity for a AAA-rated corporate bond with a 30-year maturity versus a Treasury bond with a 30-year maturity. A BBB-rated 30-year corporate might require a yield approximately 175 basis points, or 1.75 percent, higher than the 30-year Treasury. These yield spreads change constantly and are different for each type of corporate and municipal bond. A bond that matures in one year, with a coupon of 8 percent, pays $80 interest per every $1,000 face value of bond. An 8 percent coupon one-year bond at par, or $1,000 dollar price, yields 8 percent to maturity. If the market interest rates for one-year bonds rises to 10 percent, the dollar price of the 8 percent coupon bond will decline to $800, which makes the $80 interest payment represent a 10 percent yield. When market yields go up, the dollar price of bonds goes down. When market yields go down, the dollar price of bonds goes up. The yields-to-maturity required by the market change constantly. They change for each maturity and credit rating of every bond trading in the marketplace. They change based on Federal Reserve monetary policy, geopolitical events, economic indicators and perceptions of profitability or credit quality changes for each specific bond. All bonds are priced in line with the yields-to-maturity currently in the market plus an extra amount or mark-up for transaction fees and commission. The smaller your bond holding, the larger the percentage mark-up relative to the total value of the bond. Institutions trade hundreds of millions of dollars in bonds with relatively small mark-ups. 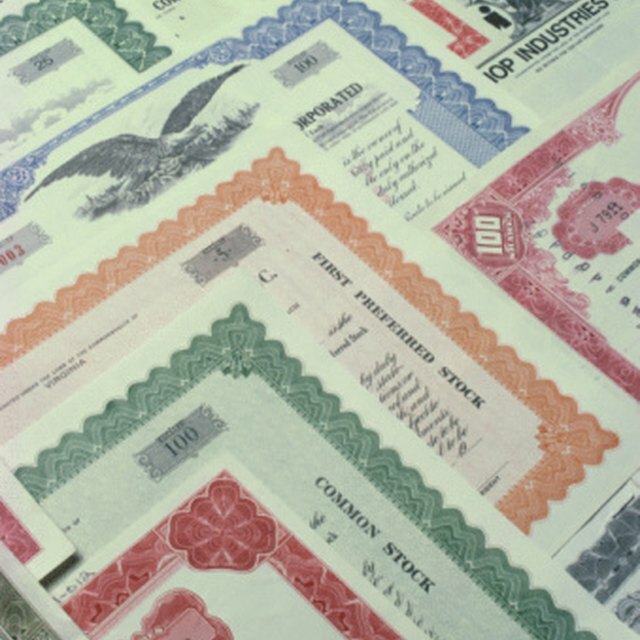 Many bonds are quoted in the financial newspapers or online. These quotes do not include a spread, or extra allowance, for transaction fees and commissions. To determine whether your bond is fairly priced, look for other bonds that have similar credit ratings, similar maturities and similar coupons. Compare the yields-to-maturity listed in the news quotes to the yield-to-maturity on your bond. Use a bond calculator to find this YTM if your broker doesn't give it to you as part of his quote.